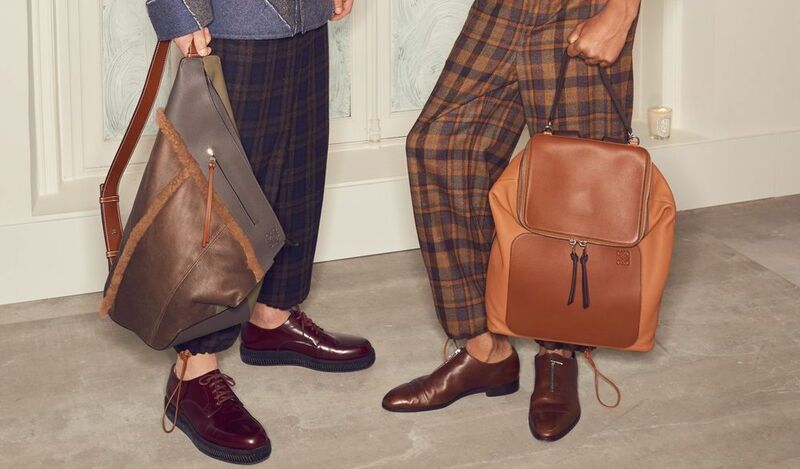 Are you carrying a “man-bag”, a clutch or a “man-purse (“murse”)? You should! The metrosexual era in the early 2000s and the rise of gender-neutral dressing in recent years continue to alter the way men perceive themselves. It’s changed the way we groom, dress and live. Menswear and accessories have also become more interesting and experimental. Tracksuit pants (think Gucci and Zegna) and padded scarves (thanks to the latest collection by Jill Sander) are some of the latest depictions of current trends. The old-ye-faithful briefcase, the de rigeur for the corporate executives, is gradually being replaced by smaller, fancier alternatives as office documents give way to thumb-drives and bulky laptops are replaced by “paper-thin” notebooks. The old stigma – that a man who carries a bag smaller than a briefcase is less of a man – no longer holds water (well, it never really did). What else is cool? “Man-bags”, clutch, man-purses (“murses”), and cross-body bags are some of the hottest items on the designer’s list of things to have. To get you more acquainted with the myriad options out there, here are some of our top picks to help you bag everything from your phones, keys, wallets – and anything you want to hide, really. This Puzzle Sling Bag Khaki Green is crafted in soft grained leather and paired with the signature whipstitch and tassel detail that marks the label’s laced styles. This sophisticated and luxurious pouch in precious calfskin is perfect for men attentive to details. This black Pelle Tessuta Cross-body bag crafted from extremely thin nappa leather yarn is masterly woven on a loom, replicating the traditional method of weaving cloth. This Drummed Calfskin Pouch with sophisticated details is perfect for any occasion; wear them to work, on trips or to the most exclusive events. This slightly curved shape small zip pouch, from the Duke collection, is understated and stylish enough to match pretty much any of your outfits. This light-blue Holdall Folio Soft clutch in Taurillon Gex leather by Moynat says classy and elegant. The pattern on this Intrecciato Microdots Document Case is woven/printed on by hand to create a strong visual impact with speckled motif that echoes the stones of Japanese artist Hiroshi Sugimoto’s Enoura Observatory in Odawara. The Prada leather messenger bag features an adjustable shoulder strap, a foldover top, an internal zipped pocket, a back pocket and a signature triangle patch with a light blue logo print. Pouch 22 In Signature Canvas features a back-slip pocket for easy access to essentials. It’s detailed with the iconic Storypatch and Western-inspired whipstitching. The Furla Man Ulisse pouch made from soft grained leather is decorated with metal studs on the front – a tribute to motorcycle races.